What a summer we have this year! It’s been warm and sunny for weeks on end now, giving us the impression of being abroad rather than the North West of England. At least those of us, who are not going away over the summer months, do not miss out on a good dose of vitamin D and daily ice creams. Just how extreme the heatwave has affected the North West is now tangible through the imposed hose pipe ban from United Utilities. In this part of the British Isles, we draw the majority of our water from surface water reservoirs. In the usual English summer, those reservoirs are not under a lot of pressure to provide water, as there is enough rain to keep levels up, with an average of at least 30 rain days between June to August (Met Office) in Cheshire and Merseyside. As with every scenario, there are winners and losers: just a short stroll on Wigg Island reveals a great numbers of butterflies this year, who are benefitting from the dry conditions. 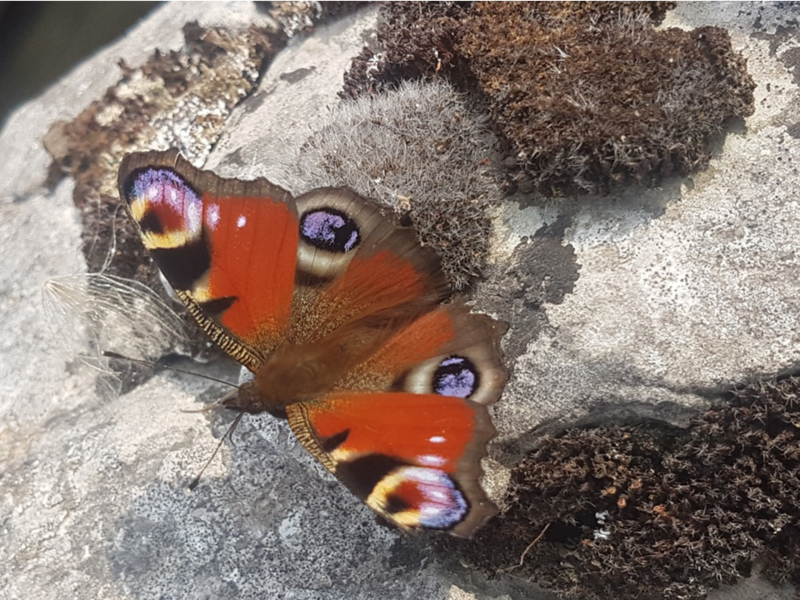 The Butterfly Conservation is currently hosting the ‘Big Butterfly Count’ to see if the warm weather has really made a difference to the butterfly population in the UK. The count will run until 12th August and we’ve already contributed, counting 11 butterflies on an outing to the saltmarsh this week. Visit www.bigbutterflycount.org to learn how to take part. One of the thirstier animals in the Upper Mersey Estuary however, is our cows at Upper Moss Side. 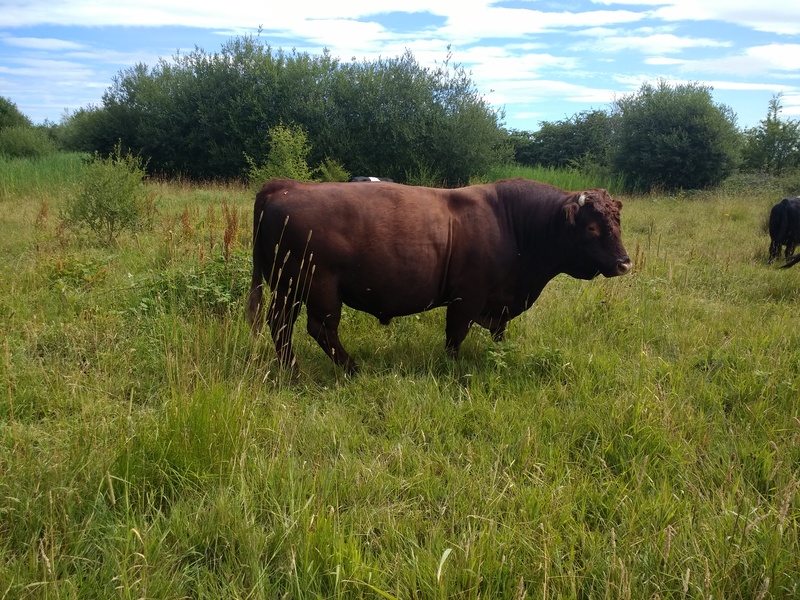 The cows are here as part of the Trust’s ongoing management of the saltmarsh and the cattle, by eating the grass make the area a fantastically appealing habitat for bird species. Despite plenty of freshwater access, the cows have taken to rush around the water trough which has resulted in some temporal damage as some of our ladies have taken their hooves to it. The warm weather, as you can expect, makes it difficult for our cows and we’re doing all we can to ensure they can be comfortable in this unusually warm weather. Emergency repairs were swiftly made to the broken trough and the cows are now enjoying their water whenever they need it. 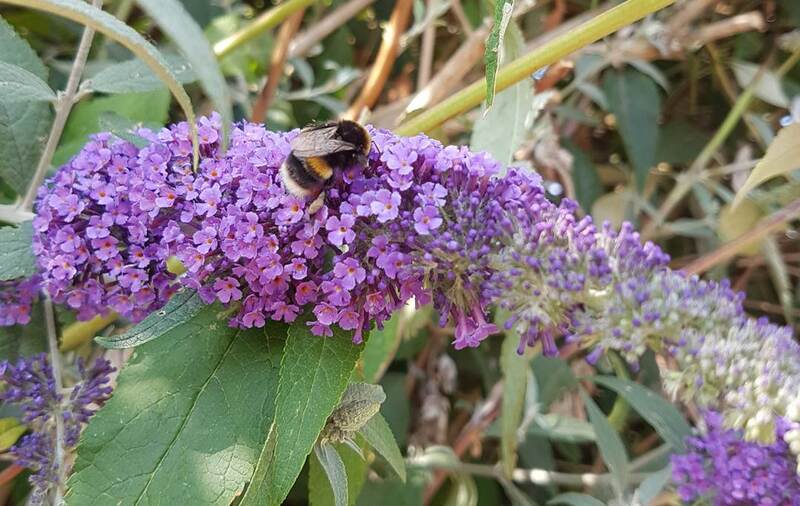 What can you do to help the local wildlife get through this summer heat? The RSPB advises to provide a shallow bowl of fresh water for our garden birds that is topped up and cleaned regularly. Birds do not sweat, but still need to hydrate and a dip in water keeps their feathers in good condition. You can either use a bird bath, or use an old plate placed on the ground, in which case other animals such as hedgehogs or other rodents can use it too. You can also install a mini garden pond: an old container like a washing up bowl is enough to get started. By placing a few rocks and twigs in the pond you can make sure that wildlife can safely climb in and out of your pond. Pick up some aquatic plants in your local garden centre, fill the container with water (preferably rain water) and wait and see. Nature will take care of your pond from now on and there is not much you need to do. You can follow this step by step guide by the RSPB: www.rspb.org.uk/get-involved/activities/give-nature-a-home-in-your-garden/garden-activities/createaminipond/. Helping wildlife is not difficult and everyone can contribute. Let us at the MGET know how you help the local wildlife by tweeting (@mgenvtrust) us or sending us a message on Facebook.